It is said that a home is hardly ever a home without children! They bring a brightness and liveliness that cannot be paralleled even by the most elegant of interior design or decor solutions. However, it is also true that having kids at home can spell disaster for it. After all, you cannot keep them from mischief like drawing on the walls, or scratching the floors! The best alternative is to adopt some ways that make your home kid-friendly. No one denies that when you have young’uns at home, it can get a bit tedious to keep it luxe. Toys begin to encroach on your valuable personal space, meals get spilled on gorgeous rugs, and minimalist walls get scribbled with crayons. Even the best décor plans go out of the window. Nevertheless, there are a few techniques that guarantee a happy household with great design. 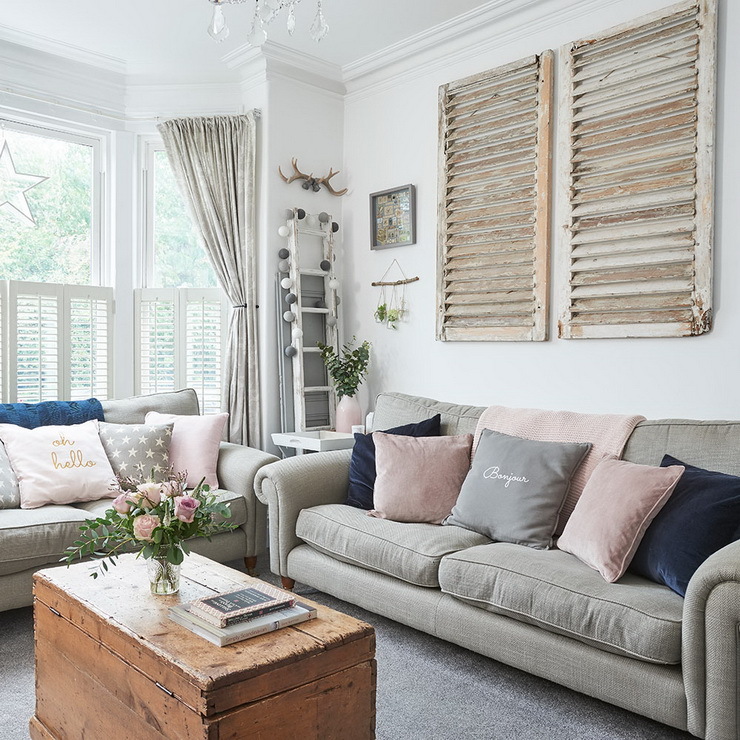 We compiled a handy guide of six secrets that keep the plaster from falling off the ceiling in your endeavour to keep the abode from going to ‘Wow’ to ‘Oh dear’! The first details to feel the winds of change in a household that has little ones is the furniture. A mansion or a studio apartment, it is a truth universally known that kids will find corners to bump-in. One way to make a place child-proof is to utilise the corner guards. But why compromise on beauty when there are so many brilliant pieces that offer a worry-free experience? Choose tables and fittings that have no sharp edges. Rounded furniture is your best bet. Curved, wooden furnishings are even better. They prevent injuries on heads, legs, and sides of ever motile children. Plus, wood is a natural material and lets you go green! You’ve got round-end tables and softly curving couches in your living room yet the cushions are always on the floor, and the linen is brimming with spots. Two tweaks are all it takes to have an orderly place, evermore. Switch from linen to leather. The fabric is not as delicate, and easily wipe-able. Another perk is wear-tear doesn’t show up on it. A scratch here and a sauce drop there won’t be visible. Buy sofas that come with fixed cushions. Your tiny-tots can jump on them to their heart’s content, but the pillow will remain glued. Shiny, pretty marble. When most of us dream of our mansions, we see acres of marble. But falls on it are unforgiving and to youngsters singularly unpalatable. Ergo, the next practice of turning a dwelling suitable for child rearing is wood floors. They are durable and not taxing on the knees and palms of little ones. Another reason to switch to plywood floors is they are easy to clean. Until and unless you are one of the few homes who has successfully implemented the shoes-off-at-the-door rule, children will track dirt all over the ground. You want flooring that doesn’t take sweat and tears to make spotless. For some, the mess kids make is akin to karmageddon, i.e., when all wrongs done in life come crashing onto you. A simple solution to the muck little feet and hands create is carpet. Now, rugs and toddlers may sound like an oxymoron but believe us you; it is not. Jute rugs or wool carpets are excellent at remaining pristine. A few shakes and they are free of dust and dirt. An added merit is they last for a long time and are soft to sit on while your kiddie plays with blocks. If you are still not convinced, then capitalize on carpet tiles. They are small squares that fit together to make one big piece. The next time your child stains it, you only need to get that one-piece dry cleaned and not the whole rug! Solid colours are like neon signs for specks. Even the tiniest fingerprint blares like a foghorn on them. Patterns such as geometric motifs, on the other hand, are magnificent at hiding pesky marks and bothersome blemishes. For us, a little chevron detail is a quintessential tool to adding character and elevating décor. What comes hand-in-hand with offspring? Paraphernalia. The one way of keeping a home chic with so much stuff is artistic storage. 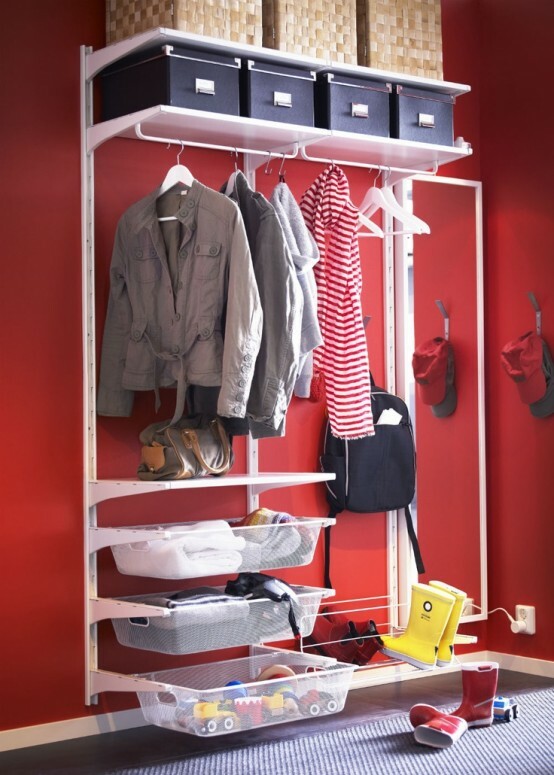 Instead of opting for a basic shelving unit, pick one that has a funky look: pops of colour with open and closed racks. Store the undesirables in closed sills and show off items through the open frames. Storage that sorts out everything from essential to toys is just the start. Where you place, each item is the conclusion. Anything that will break when minuscule fingers grab it should be filed up high. Daily stuff gets a home on the lower levels. The leading design idea to go for a toss when we welcome toddlers into our world is neutral shade walls. Whites, beige and hues within the spectrum are like blank canvases for babies. While this is true, light-toned walls can survive as long as you wield a washable paint. Majority of paint brands have come up with child-friendly options. Cleaning them is not a chore. Most times a wipe is the maximum energy they require. Invest in them! The very last step to making a residence friendly for children is reconciliation. The reality of an abode with kids and a ‘dream house’ are like two banks of a river. Far apart. So, reconcile yourself with the datum that not every design choice you make will be feasible. Then, begin to question each purchase you make. Envision what you desire and then ask – will my kids destroy it? If the answer is affirmative, it is time to make a more practical decision. It is not hard to combine fashion with function. A home can be as apposite for entertaining friends as it is for youngsters. All you need are one or two creative ways to design a dwelling and make is safe for and from ankle-bitters. Looking for someone to help you in your quest for a child-friendly home? Get in touch with Hipcouch’s experts today! Older PostTypes Of Glass You Can Use For Your Kitchen Cabinetry!